This article is about a specific region named the Redwood Forests on Ragnarok. For the biome itself, see Redwood Biome. For the Redwood Forests on The Island, see Redwood Forests. For the Redwood Forests on The Center, see Redwood Forests (The Center). Redwoods is a region in Ragnarok. It is a Redwood Forest similar to the same biome found on The Island and The Center. It borders the desert in the south, the snow in the west/north, and the ocean in the east. It's surrounded by taming opportunities, making this region an excellent location for a base. There's a cave somewhere in the middle of the redwoods with a river flowing through it. The river is not deep enough to drown in but can still provide water. Sticks in the cave can be picked up for wood. There are three entrances: one through a fallen redwood log, the other two on the north and south ends of the cave. There's plenty of space and it's a great place to build for even large tribes. Big Redwood trees have sap that can be taken out of them. The smaller redwood trees give a significant larger amount of wood to harvest per tree. There's metal on the side of cliffs. Giant Beaver Dams are found near the water zones on the south of the redwoods, where the beavers spawn. There are a lot of bushes in the area, and plenty of creatures for a steady stream of meat, hide, and even pelt. The cave here can have creatures easily get into it, thought they can't spawn. The most common creature that wanders inside is the Terror Bird. Since this area is so close to the desert and the snow, you have access to many tames, including Frost Wyverns. 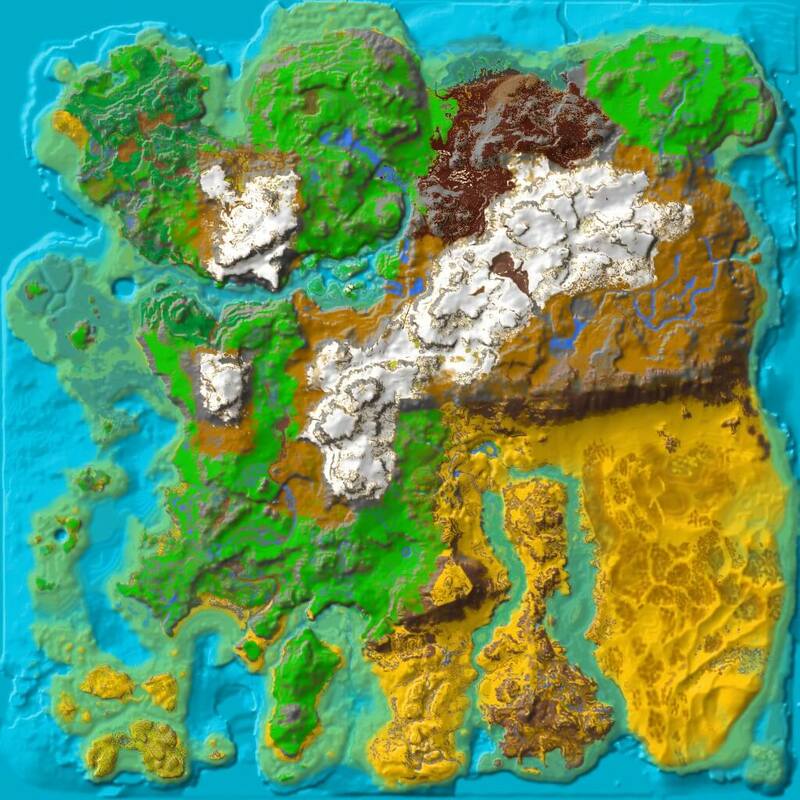 The region is also fairly close to the Volcano and the Dragonmalte Trench for Wyverns, Mantis, Rex, Megalania, and other great tames. This page was last edited on 3 February 2019, at 13:20.